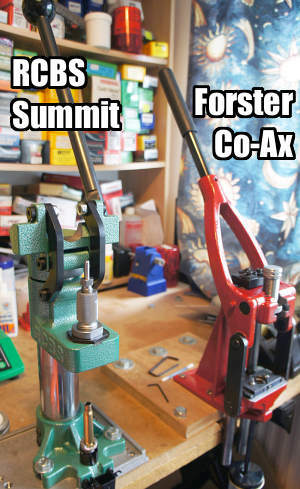 Share the post "Reloading Press Comparison: Rock Chucker vs. Co-Ax vs. 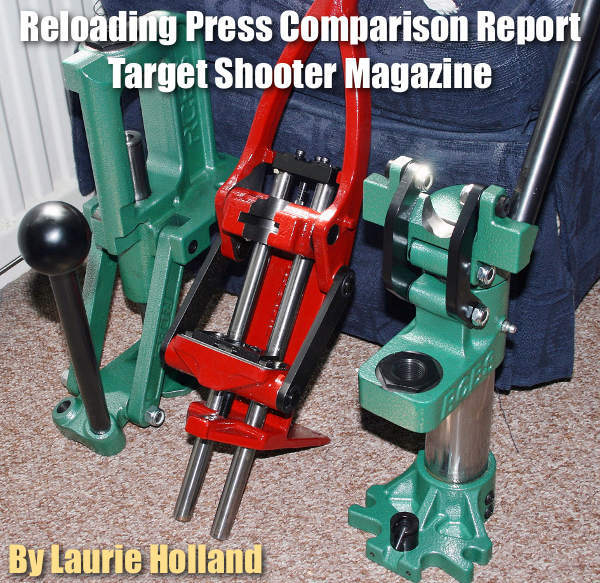 Summit"
TargetShooter Magazine and AccurateShooter.com contributor Laurie Holland offers some practical answers to this important question, based on his his experience with .223 and .308-caliber bullets. 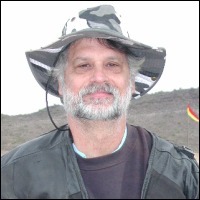 Thoughts on Accuracy and Transonic Bullet Speeds by Laurie Davidson. 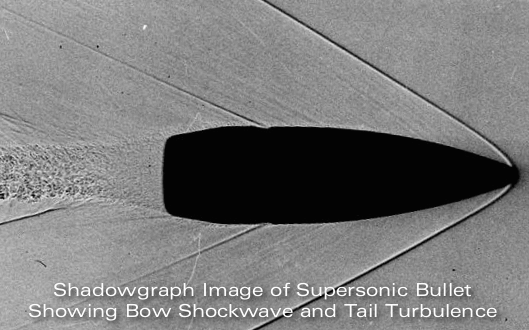 There is no simple answer to the question “How do transonic speeds affect accuracy”. 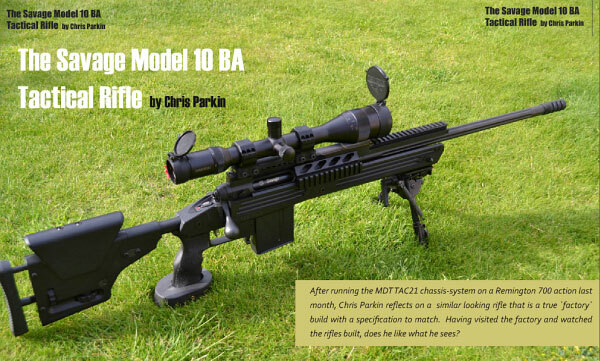 Some bullets manage OK, some not so well, some fail entirely, and I’ve never seen a guide as to which models do and which don’t. But we do have the ‘boat-tail angle rule’, anyway. Bryan Litz says the ideal boat-tail angle is 7-9°. Go much above 10° and it’s too steep for the air to follow the bullet sides around to the base. This seems to manifest itself as much increased drag and turbulence leading to instability in transonic flight. Even this boat-tail angle ‘rule’ doesn’t always seem to apply. 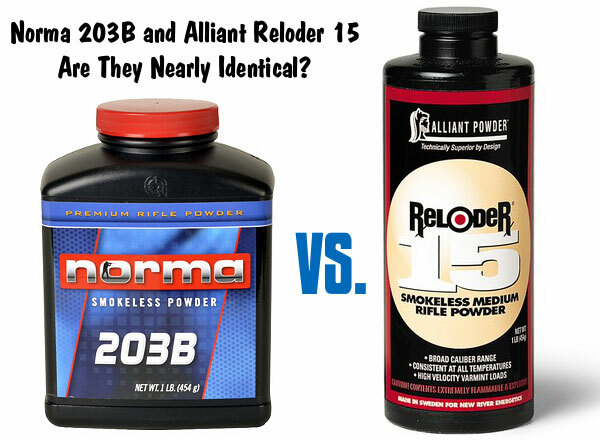 Many older long-range Service Rifle shooters talk about good results at 1000 yards with some batches of 7.62mm match ammo in their 20″-barreled M14s using the 168gn SMK. I’ve successfully used Hornady and Sierra 168s at 1000 yards in 30-cal magnums which drive the bullets fast enough to keep out of trouble at this distance. 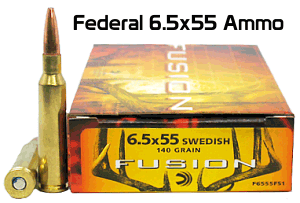 This is still not recommended of course thanks to their low BCs compared to better long-range speciality bullets. 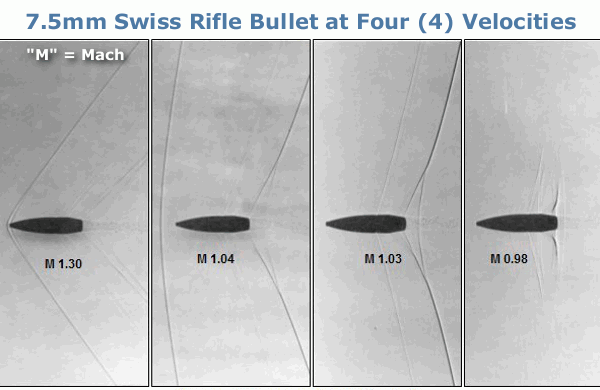 These four photos show the substantial changes in the shock ware and turbulence patterns for the same bullet at different velocities. The “M” stands for Mach and the numerical value represents the velocity of the bullet relative to the speed of sound at the time of the shot. Photos by Beat Kneubuehl. 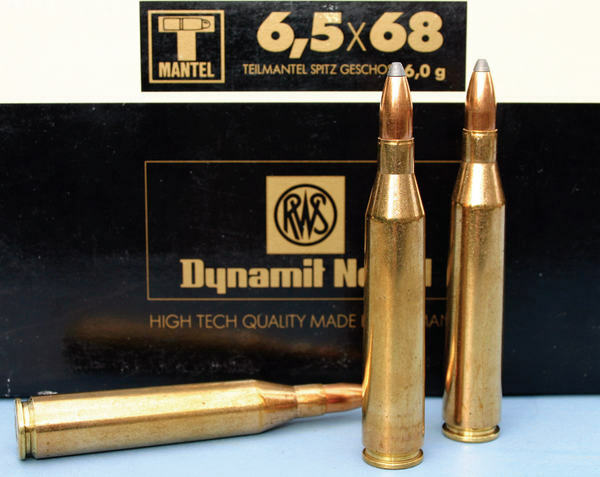 I was much exercised by [concerns about transonic instability] in the early days of F-Class, when I was shooting a .223 Rem with 80-grainers at 2,800 fps MV or even a bit less. 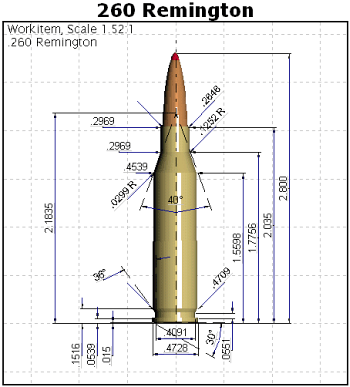 Even the optimistic G1 ballistic charts of the time said they’d be subsonic at 1000 yards. 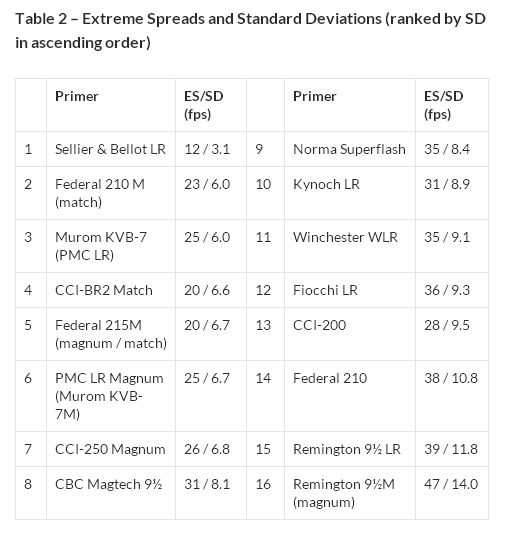 (Bryan Litz’s Point Mass Ballistic Solver 2.0’s program says 1,078 fps at 1000 yards at 2,800 fps MV in standard conditions for the SMK; below 1.2 MACH beyond a point somewhere around 780 yards.) In fact they shot fine in a large range of conditions apart from needing around 60% more windage allowance than 6.5mm projectiles [shot with a larger cartridge]. The biggest problem apart from my wind-reading skills was constantly getting out of the rhythm to call to have the target pulled as the pits crew didn’t hear the subsonic bullets and had trouble seeing their little holes. 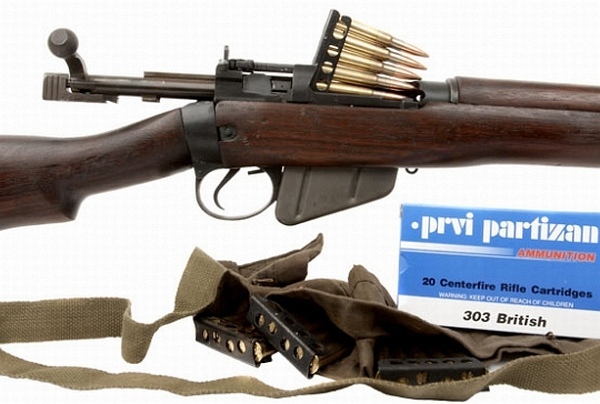 In the early days of F-TR I used a 24″ barrel factory tactical rifle that was billed as F-TR ready — it wasn’t! The much touted 175gr Sierra MatchKing, as used in the US military M118LR sniper round, was allegedly good at 1000 yards at .308 velocities — but it wasn’t! It would group OK in [some calm] conditions, but any significant change would cause a much greater deflection on the target than the ballistic charts predicted, so transonic flight was obviously making it barely stable. 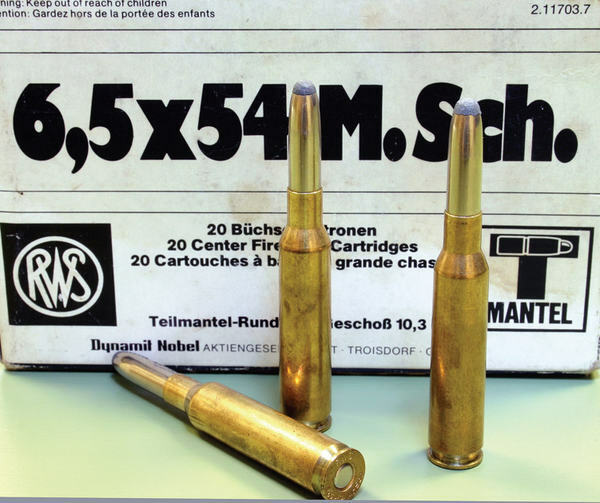 I also suspect conditions on the day had a big effect as Litz’s program says [the 175gr SMK] is just subsonic at 2,650 fps MV at 1,000 in standard conditions. Throw in MV spread and there was a risk of some round remaining supersonic, while others went transonic. Plus warmer or colder air moving onto the range under some conditions might change things. 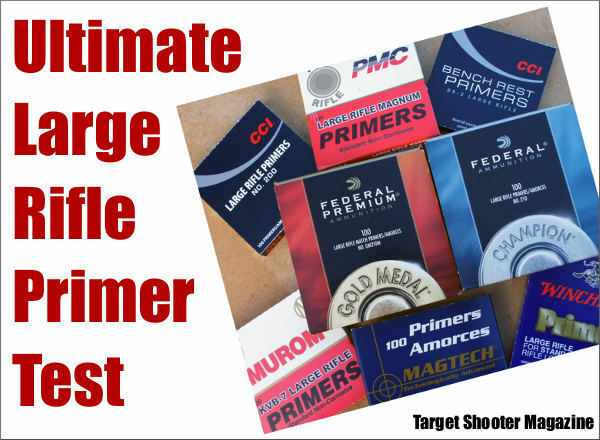 I used the combination on Scotland’s notorious Blair Atholl range at 1000 yards in one competition in a day of cold headwinds from the north and frequent rain squalls. The temperatures plummeted during the squalls (and the wind went mad too!) and what was an ‘interesting group pattern’ outside of squall conditions changed to seeing me do well to just stay on the target frame at all. On ranges other than Blair (which is electronic, so no pits crew), target markers reported they heard faint supersonic ‘crack’ and saw round holes on the paper, so the bullets appeared to remain stable and just supersonic in summer shooting conditions. Confirmation of this transonic performance phenomenon has since come from USMC snipers who say the M118LR’s performance ‘falls off a cliff’ beyond 800m (875 yards), which is just what I found when shooting the bullet at slightly higher than M118LR muzzle velocities. A move to the 190gr SMK with Vihtavuori N550 keeping the MVs reasonable gave a vast improvement in 1000-yard performance. 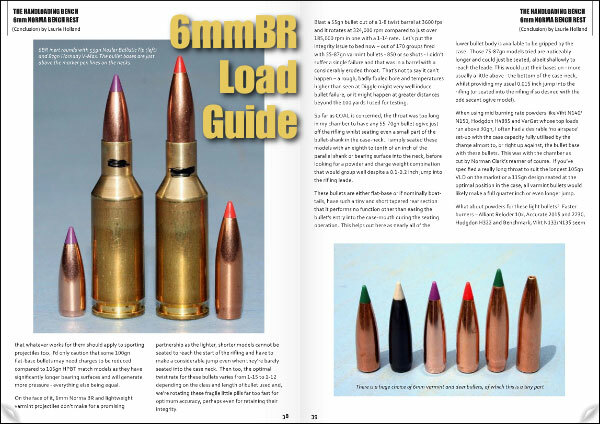 The ‘easy’ / better answer to all this is to use a design such as the 30-caliber, 185gr Berger LRBT with a reputation for good long range performance and to load it to achieve or exceed 1,350 fps at 1000 yards. If I can get the combination I’m using to be predicted to hold 1,400 fps at this range in a G7-based program calculation, I’m happier still. 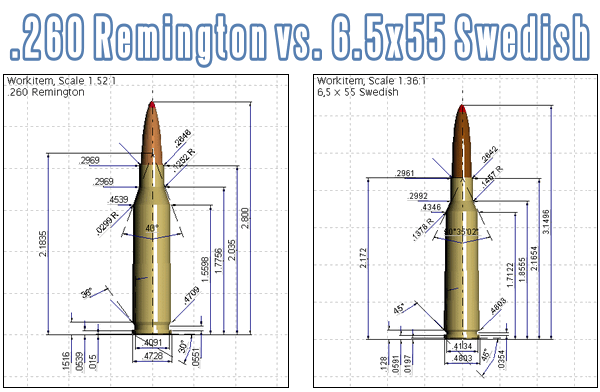 Incidentally, the old long-range, 30-cal Sierra bullets (the venerable 190gr, 200gr, and 220gr MatchKings), with their extra length boat-tail sections, have a superb reputation for stable transonic / subsonic flight. 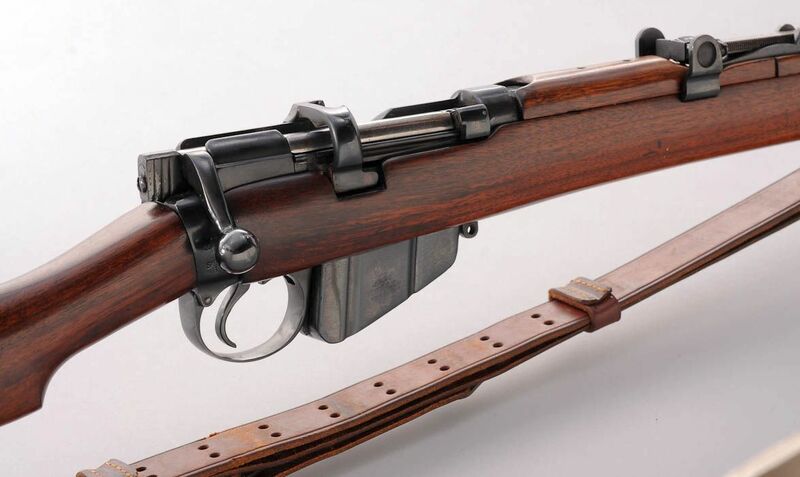 They were used by GB and British Commonwealth ‘Match Rifle’ shooters at 1000, 1100, and 1200 yards for many years before the current bunch of 210gr and up VLDs and Hybrids appeared. The term “Transonic” refers to velocities in the range of Mach 0.8 to 1.0, i.e. 600–768 mph. It is formally defined as the range of speeds between the critical Mach number, when some parts of the airflow are supersonic, and a higher speed, typically near Mach 1.2, when the vast majority of the airflow is supersonic. Instability can occur at transonic speeds. Shock waves move through the air at the speed of sound. When an aircraft goes transonic and approaches the speed of sound, these shock waves build up in front of it to form a single, very large shock wave. 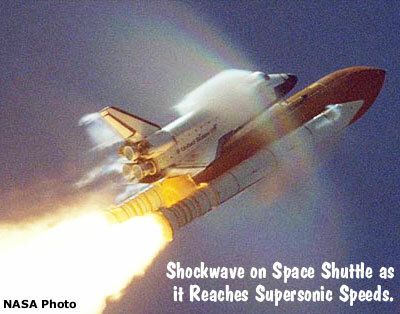 This is dramatically illustrated in this Space Shuttle photo. Share the post "Practical Thoughts About Transonic Bullet Stability and Accuracy"
Want to See More “Mad Minute” Action with a Modern Tubegun? 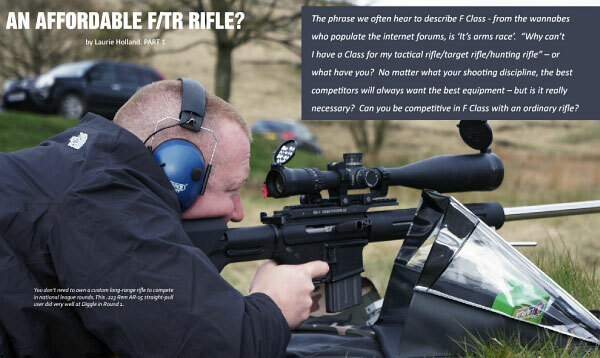 In 2012, Gary Eliseo ran a “Mad Minute” exercise using a modern, .308 Win Eliseo RTM Tubegun of his own making. Gary ended up with 24 hits on a bull target set at 300 yards. (Gary actually had 25 hits in 25 rounds fired, but the last round hit just after the 60-second time period expired.) Note how Gary pulls the trigger with the middle finger of his right hand. This allows him to work the bolt faster, using his thumb and index finger. CLICK HERE for Eliseo Tubegun Mad Minute story. NOTE: In an interesting coincidence, Dennis Santiago was actually in the pits pulling targets for Gary during Eliseo’s 2012 “Mad Minute” exercise. 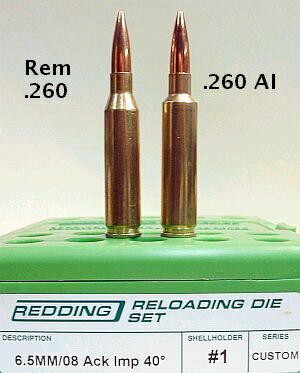 The first 10 would go quickly, but reloads were critical, this not done by a magazine change as Gary did with the RTM or in a modern tactical or semi-auto rifle, but through slick use of ‘chargers’. It is this aspect which fouls so many of my colleagues up as it is very easy to cause a jam and a large part of 60 seconds can go in sorting it out! 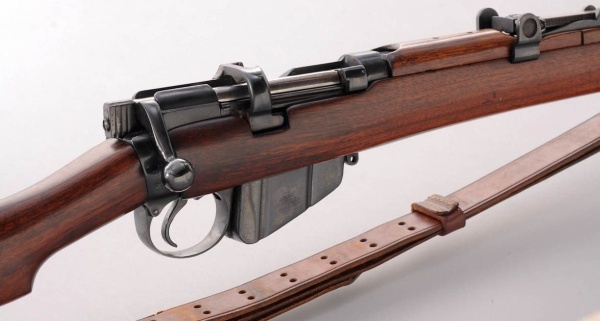 Share the post "Santiago Does the ‘Mad Minute’ with Authentic Lee-Enfield"
The March 2012 edition of Target Shooter Magazine is now available for online viewing. This issue is full of informative articles, with excellent photography. 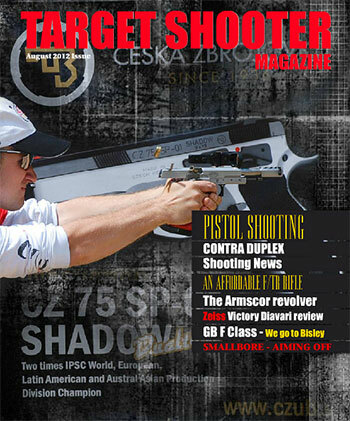 If you prefer the convenience of print magazines, you’ll like Target Shooter’s “eZine” format. Target Shooter displays like a print magazine — so you can enjoy large, wide-format photos, and you can flip pages just like a regular magazine. There is also a handy index (just like a print mag) so you can quickly access all the articles of interest. This month, you’ll find many stories worth reading. 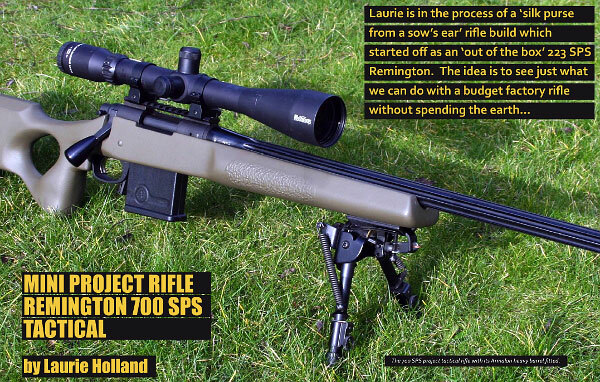 Starting off, Laurie Holland hot-rods a Rem 700 SPS tactical rifle. After fitting the rifle with a new 26″ 1:7.9″-twist barrel and Manners Composite stock, Laurie shows that impressive accuracy can be achieved from the upgraded Remington SPS (chambered in .223 Rem). 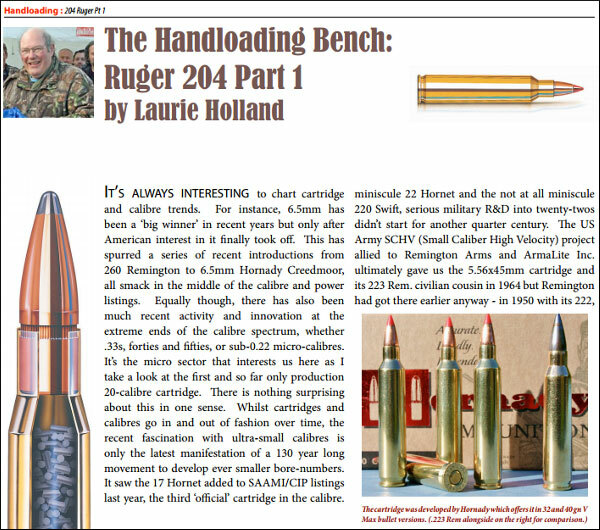 Laurie also continues his on-going series about reloading for the .308 Win. 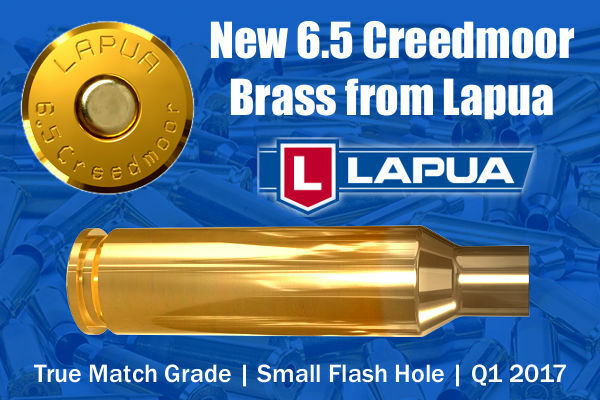 This month he tests Lapua small-flashhole brass with a variety of powders. 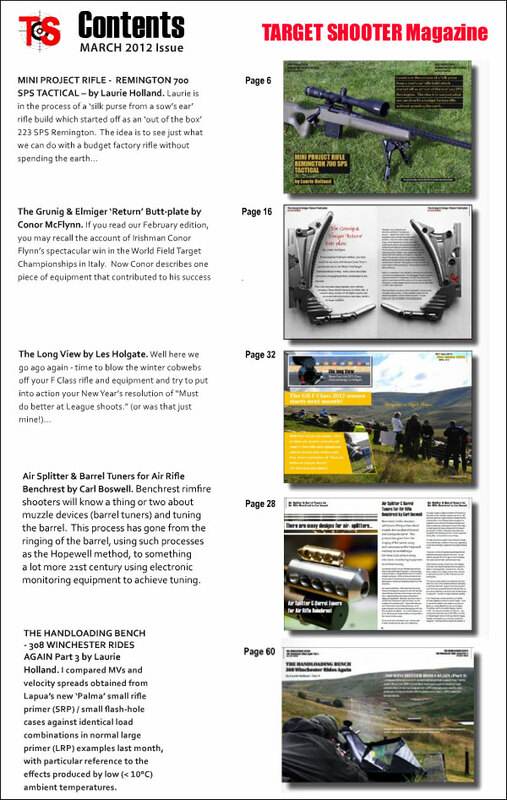 Other highlights include a comparison test of air-splitters and tuners for airgun benchrest, and a guide to competition optics. 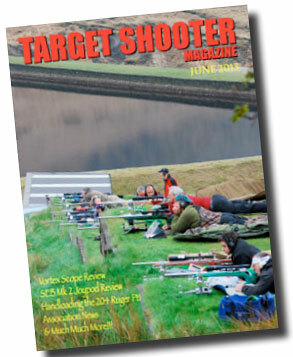 Readers can download previous monthly editions plus a Shot Show supplement from the Target Shooter Magazine homepage, found at TargetShooter.co.uk. 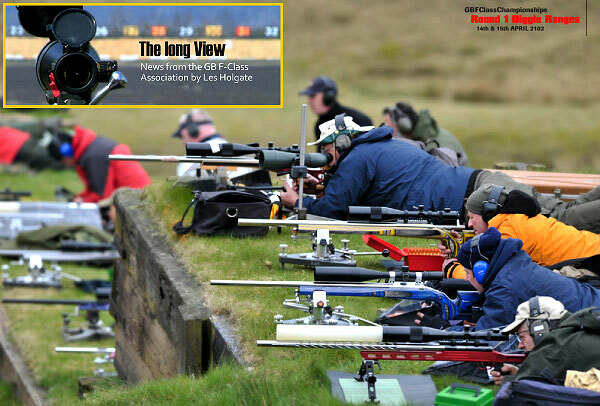 Share the post "FREE March Issue of Target Shooter Magazine — Online Now"
At a recent Great Britain F-Class Association Match at the Blair Atholl Glen Tilt range, AccurateShooter Forum member Laurie Holland shot a 96-9V for twenty shots, tying the British F-TR single match record. Laurie accomplished that feat with a Savage-actioned .223 Remington. 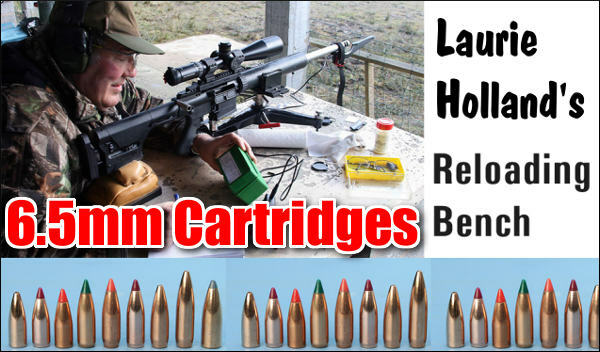 Laurie proved that the little .223 Rem can be competitive, even at 1000 yards. 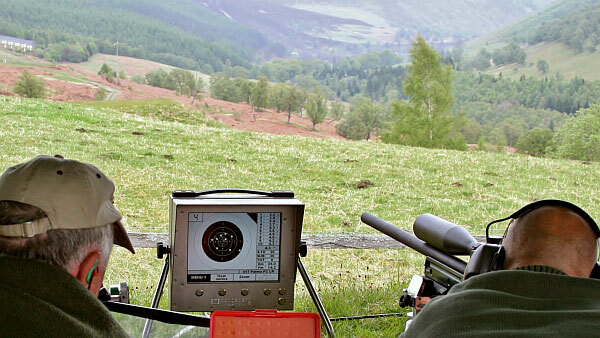 The Blair Atholl range, 1,000′ ASL in the southern Scottish Highlands, has been described by a top international rifle coach as ‘the world’s second most difficult range for wind’ (behind Trentham in New Zealand). 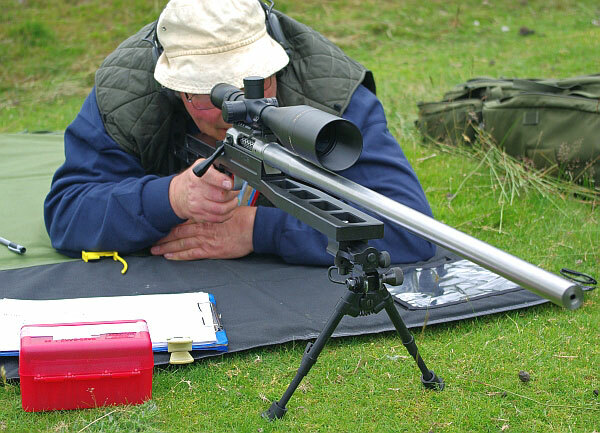 Many British F-Class shooters were therefore surprised when Laurie Holland took his Savage-based .223 Rem F/TR rifle to the range earlier this month to compete in the season’s second GB F-Class Association league round. The event consisted of five, 1000-yard matches over a weekend (three 15-round stages on the Saturday, and two 20-round matches on Sunday). 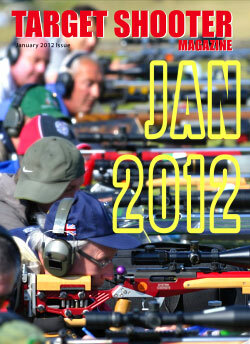 Forty-eight registered GB FCA shooters turned up, split 50/50 between F-Open and F-TR categories. Though heavy rains were expected, Saturday was dry. However, the predominately 5 o’clock wind grew progressively stronger throughout the day, swinging through 20 or 30° with irregular gusts and lulls. With the range situated on a steep and uneven valley-side, wind changes affect elevation markedly in addition to the usual lateral movements. A gust can send the bullet high and left, while a lull moves POI low and right. 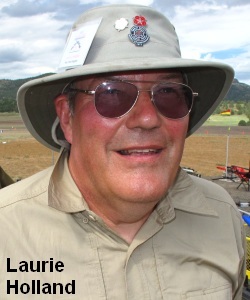 After Matches 1 and 2 Laurie was at the bottom end of the top 10 shooters in the class, but he surged to the lead in the day’s final match that saw the most difficult wind conditions. Laurie’s 66-2V score topped second place Adam Bagnall (reigning GB F-TR league champion) by seven points, and was also better than many F-Open scores. 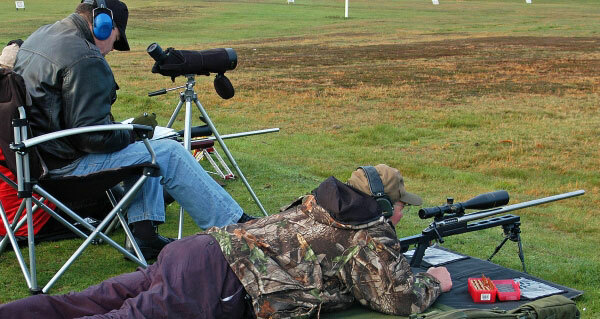 Laurie and his .223 were now tied (on points) with F-TR world champion Russell Simmonds for the overnight lead. Both had 183 points but Laurie was leading by five V-Bulls to one. As chance would have it, Russell and Laurie had been squadded to shoot together on the second detail of Sunday morning’s 20-round Match 4. NOTE: Brits employ a different system for F-Class targets. Target Rings have a 1 through 5 value, with a “V” (rather than “X”) for a dead-center hit. The maximum score possible on a twenty-round match would be 100-20V. 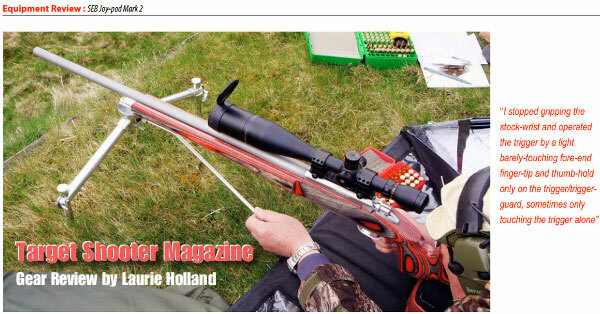 Laurie used the Savage successfully in the 2010 F Class European Championship meeting seen here shooting for GB in the second placed GB F/TR ‘Blue’ Team. Kongsberg electronic scoring monitor. This system gives near instant shot marking and lets spectators watch competitors’ performance in real time. 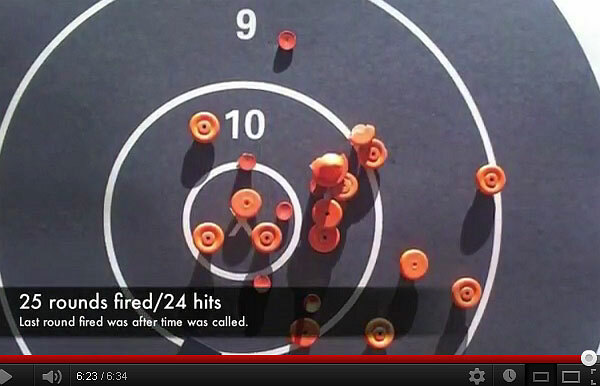 With the Kongsberg electronic scoring machines, a flashing circle on the target shows the most recent shot, with its numerical Ring Value on the right side of the screen. All of our Fours came up as 4.9s, just leaking out! 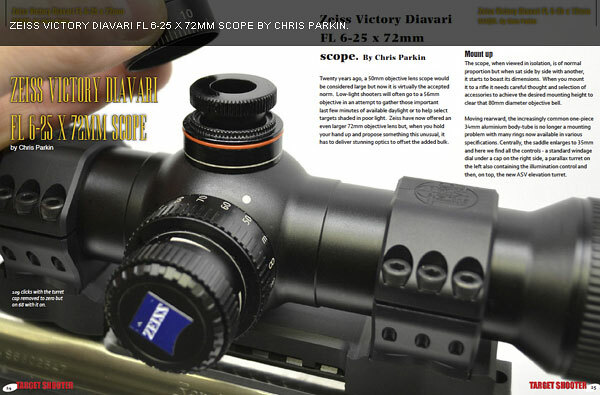 I was very reluctant to touch the scope knobs knowing just how easily a quarter-MOA ‘click’ can overdo the correction in these conditions and increasingly aimed low and left as the match progressed. As we reached the end we guessed our scores must be close, and amazingly I was getting more Vs now than Russell and his .308. However, neither of us knew we were tied on shot 19, both having dropped four points, and scored eight Vs, so the last shot would be crucial. Russell told me afterwards he sensed the wind had maybe picked up marginally, briefly considered aiming off a little further left, but decided to stick with his previous aim that had given him a ‘V’ – crack, 4.9 at 3 o’clock! 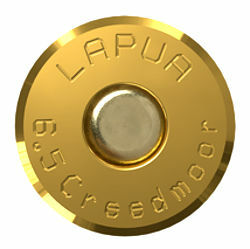 My shot 19 had been a Four in exactly the same spot and I eased the Sightron’s reticle dot over to the bottom left corner of the Bull ring – crack, V.0 at six o’ clock for 96.9v total. Just to our right, Adam Bagnall had also shot 96, but with eight Vs, so I won the match and equaled John Cross’s GB F/TR record 20-round 1,000-yard score shot last summer. This increased my overall lead to 1 point. As the shooting concluded, we heard a rising murmur behind and turned to discover we had a substantial audience, mostly of ‘Open’ competitors, who’d been following our progress — electronic scoring not only gives an instant result, but makes shooting a spectator sport! Despite faltering in the last match, Laurie still earned two stage medals and posted the highest F-TR V-count (15) in what had been a low scoring weekend. 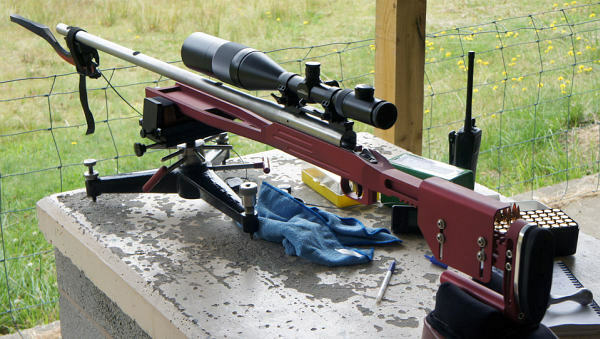 Laurie’s impressive performance with a .223 Rem now has many people reconsidering the Mouse Gun cartridge’s utility in British long-range F-TR competition. Share the post ".223 Remington Shooter Equals GB 1000-Yard F-TR Record"